So Many Stamps So Little Time: Playing Along With Papertrey Ink's 7th Anniversary! 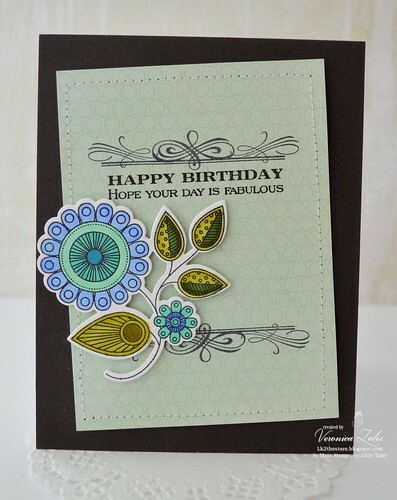 Playing Along With Papertrey Ink's 7th Anniversary! Wow, I have more cards to show you today! My first card features the stamp set "Ruby Rose". I used a sentiment from "Birds And Blooms". I was also excited to use my NEW ink from Stampin Up. It works beautifully with PTI Stampers Select White! I added a strip of gold chevron paper to give my card a bit of zing. My next card features an old favorite "Rosie Posie". I used a sentiment from "Botanical Silhouettes". I used Stampin Up ink to stamp my flowers. 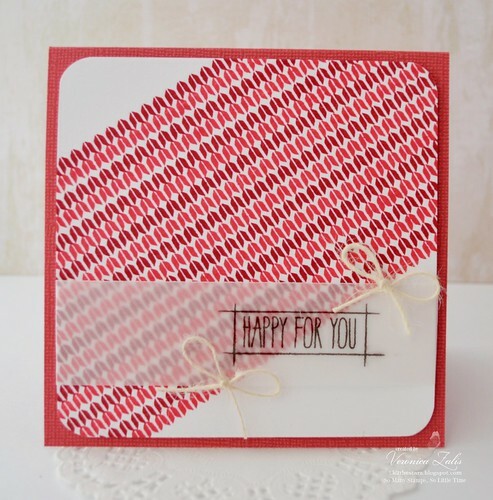 Next up is a square card featuring stamp from "Background Basics Striped Sweater". The sentiment is from "Doodle-Doo". I used my Stampin Up inks to stamp my knitted background. I used "Doodle-Doo" to create this card. I colored it with my new Spectrum Noir markers. And I give them two thumbs up! They are fabulous, seriously. 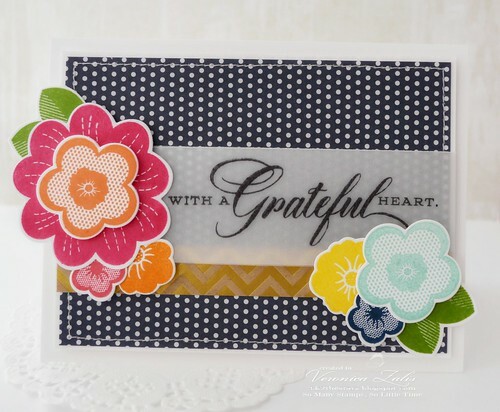 My sentiment and stamped brackets are from "Boutique Borders: Birthday". Whew! Thanks for stopping by! Wow! I'm totally dazzled by your cards! these are amazing! is the bottom one the new doodle set? do you like it? i love the ZING in your top card! Wow, girl... you're on a roll! These cards are awesome! Gettin' Foxy With Stampin' Up! 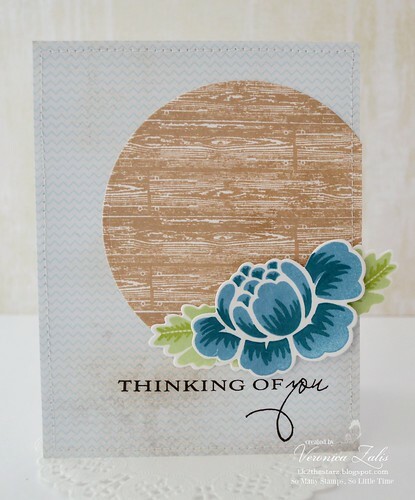 Papertrey Ink February Blog Hop! Welcome Baby - Zoo Babies by Stampin' Up! Lots of Love With Avery Elle!